Despite NCAA March Madness winding down, Major League Baseball opening day taking place, and NBA/NHL playoff push, I always like a tour sport "Major" winner and it's even more exciting if it's a teenager. Nineteen-year-old Florida native Lexi Thompson distanced herself from the LPGA Kraft Nabisco Championship to secure her first Major title. 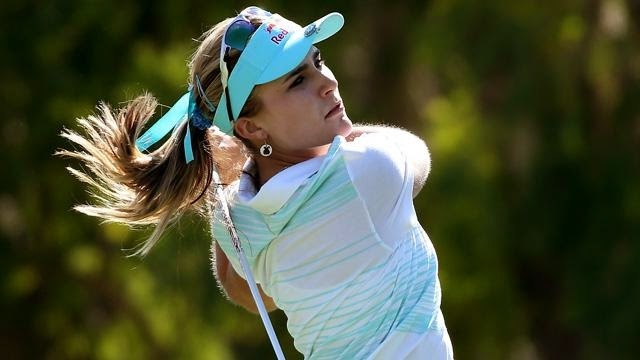 She easily outschooled fellow young rival Michelle Wie to win by three strokes. Ladies and Gentlemen, we could have a golf rivalry not seen since the days of Palmer/Nicklaus. The 24-year old Wie has yet to win a major. Even Tiger Woods didn't win a major until he was 21. Ms. Thompson is the future, we look forward to watching her grow and we honor her with the Longhorndave Sportswoman of the Week!